Like Democrat vs Republican or Texan vs Floridian etc. Type in the Results of your Survey Above. Then Click on the Analyze Button. A Yes on a Question indicates that Gender does influence the preference chosen for this item.! 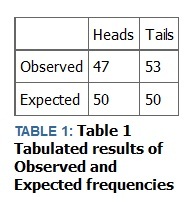 The Chi-Square Statistic is one of the most useful Statistics for Surveys of any kind.! (Male vs Female) or (Democrat vs Republican) or (Fertilizer A vs Fertilizer B) etc. This is for taking surveys. 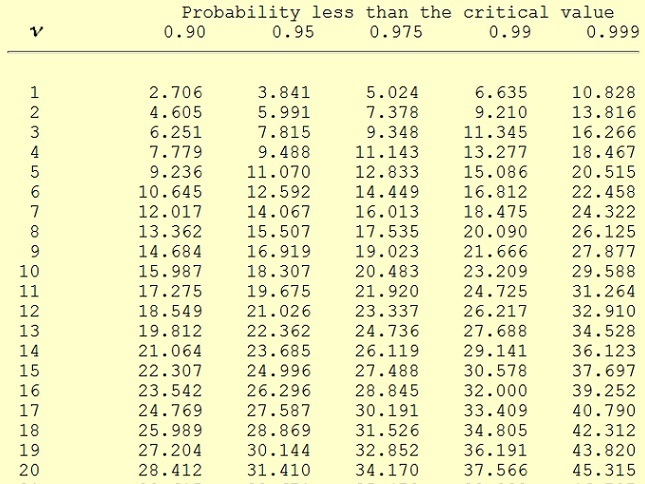 are not close to the predicted values. the two factors are not related. This is a 2 by 2 Table for the Chi-Square Calculation! This is a 2 by 3 Table for the Chi-Square Calculation! Do you like Coke or Pepsi or Orange-Crush? This is a 3 by 3 Table for the Chi-Square Calculation. This is a 4 by 1 Table for the Chi-Square Goodness of Fit Calculation. Hypothesis testing refers to the process of using statistical analysis to determine if the observed differences between two or more samples are due to random chance (as stated in the null hypothesis) or to true differences in the samples (as stated in the alternate hypothesis). A null hypothesis (H0) is a stated assumption that there is no difference in parameters (mean, variance, DPMO) for two or more populations. The alternate hypothesis (Ha) is a statement that the observed difference or relationship between two populations is real and not the result of chance or an error in sampling. Hypothesis testing is the process of using a variety of statistical tools to analyze data and, ultimately, to fail to reject or reject the null hypothesis. From a practical point of view, finding statistical evidence that the null hypothesis is false allows you to reject the null hypothesis and accept the alternate hypothesis.